The new version 2 hardware, released in February 2019, is not compatible with the old firmware (and vice versa). Version 1.7 - I spent more time on RAM access logic and it should be solid now. Used from early 2014 to June 2016. Version 1.8 - Same as version 1.7, but with a palette change. Used from June 2016 to February 2019. Version 1.9 - This is a special version with the de-jitter feature built in. Make sure you read the further information about it so you know what you're getting. This in not a stock firmware. Version 1.9A - Same as 1.9 but with a different palette. Make sure you read the further information about it so you know what you're getting. This in not a stock firmware. Version 2.0 - Adds de-jitter feature, compatible with V2.X hardware only. This in not a stock firmware. Version 2.1 - Same as version 2.0 but with new palettes. Used from February 2019 to present. Version 2.2 - Removed the sync correction from the de-jitter feature as it caused sync instability under some circumstances. The de-jitter feature of the new version 2.0 hardware causes sync instability under some circumstances in NTSC consoles. It it looks like horizontal screen wobbling and may get better or worse as the console warms up. 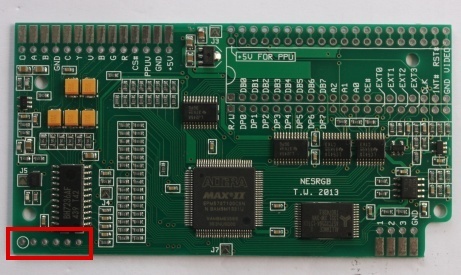 It affects boards with version 2.1 software which were those sold from 17th to 28th of February 2019. If you have these symptoms I recommend updating to version 2.2 firmware. Most boards sold between December 2016 and October 2017 have a fake voltage regulator IC fitted. The fake part has poor quality printing, no mould marking, the text always reads HU1625 042. 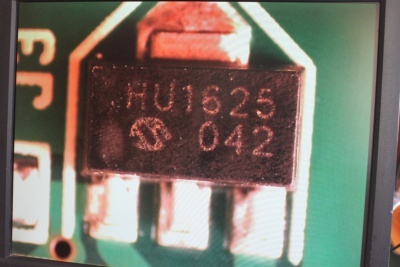 The part number is MCP1703T-3302E/MB manufactured by Microchip. The fake is probably a Chinese LM1117 or similar (eg. AMS1117-3.3). The fake part is not a direct equivalent for the genuine one. The genuine part is designed for stability with a ceramic output capacitors in the 2-10 uF range. 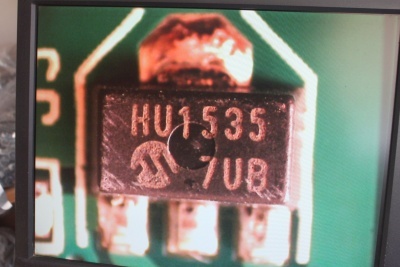 The fake part is probably meant to have an electrolytic or tantalum output capacitor in the 10-100 uF range. In some cases the fake voltage regulator will oscillate. Here's a video of this symptom. 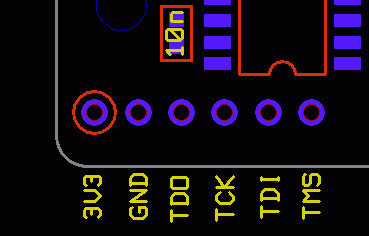 Add an extra electrolytic capacitor between the 3.3V power rail and ground. This should make the fake regulator operate correctly and prevent oscillation. The easiest place to solder the capacitor is on the programming header. 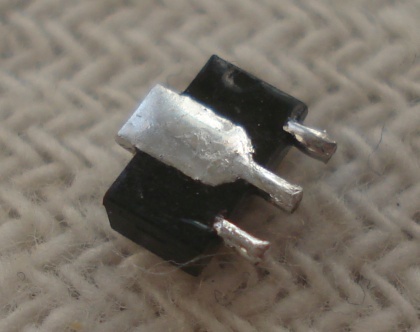 The positive leg of the cap should be soldered to pin 1 (encircled) which is 3.3V, the negative leg soldered to pin 2 which is ground. The capacitor should be either a 22 uF or 47 uF type - any voltage rating will do. The second, more difficult solution is to replace the fake voltage regulator with a genuine part. 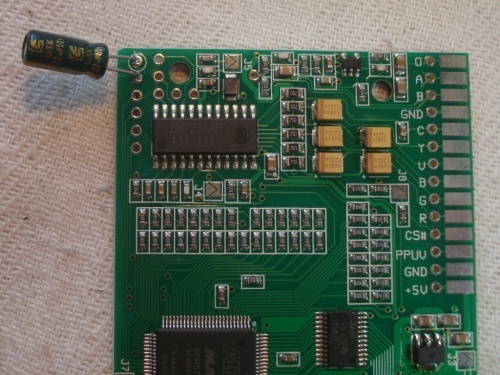 To remove it from the PCB you can use a hot air rework station or a soldering iron. The method for the soldering iron is to add extra solder to each of the three pins, then hold the iron in such a way as the tip is making contact with all three pins simultaneously. The thermal connection between the centre pin and the tab will eventually cause the solder to melt. Then the part will slide off the board. 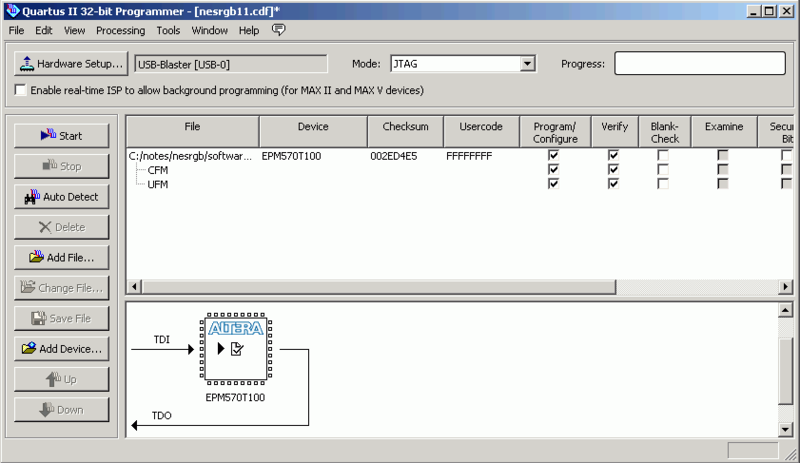 To update the software a JTAG programmer is required. I recommend an Altera USB Blaster or clone. 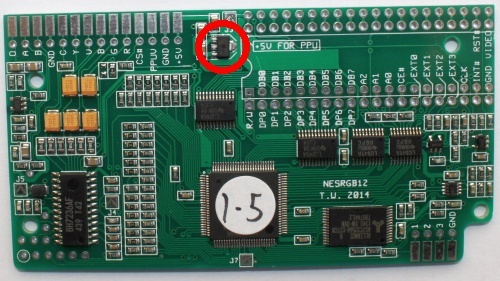 There is an umarked 6 pin JTAG programming connection on the lower left hand side of the board. Pin 1 is encircled. The Altera USB Blaster requires the Quartus II Progammer Software for Windows to be installed. The download is 185 MB and installation requires 700 MB of hard disk space. The USB Blaster drivers are included in the package (find them in the folder after installation). Click Hardware Setup and select USB-Blaster from the list.